0970 is an excellent hydrophilic dispersant of cosmetics, with good whiteness, high covering ability and good dispersibility. It’s not applicable to the cosmetics containing sodium salt. 0970 is researched and developed with the product samples of Japan for five years. 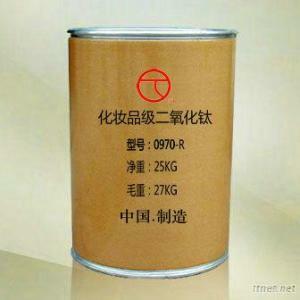 The price of the Japanese product in China is 65, 000 Yuan / ton. 0970 is superior to the Japanese product in quality, but its marketing price is only 1/2 of it. 0970 is also applicable to senior foods. Domestic and foreign customers are welcome to purchase.